MAML Attire Poster Available In 3 Designs. MAML RROCK SSTAR. MAML AANGEL. 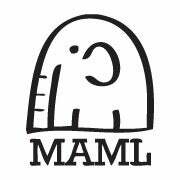 MAML OFFFICIAL LOGO. At request with a personal message.